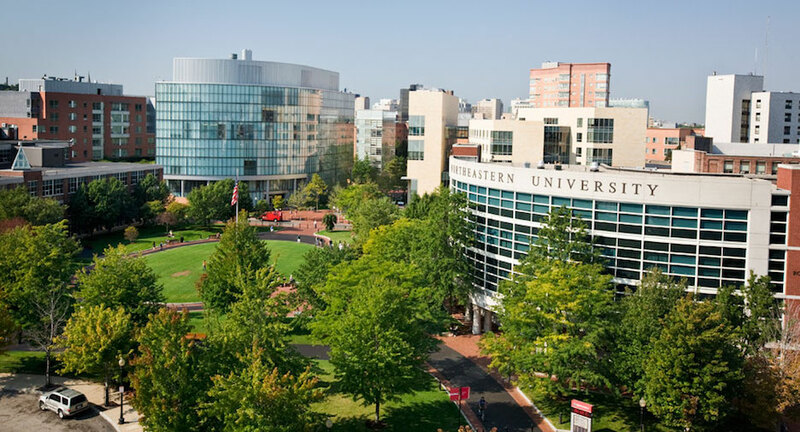 Northeastern University (commonly known as Northeastern) is one of the most frequently searched universities in America, according to a recent internet keyword search of American colleges. Northeastern is a private research university that was established in 1898. The school currently maintains an enrollment of more than 25,000 students, most of them studying at the undergraduate level. More than half of the students at Northeastern are international students. The acceptance rate at Northeastern is about 29%. One distinguishing feature of the college is its international cooperative education program, which combines classroom learning with professional experience, both at home and abroad. Northeastern is accredited by the New England Association of Schools and Colleges. Here are the answers to some of the most frequently asked questions about Northeastern. 1. Where is Northeastern University? 2. What types of degrees are available at Northeastern University? Northeastern offers Bachelors degrees, Masters degrees, and Doctoral degrees from a variety of academic subjects. The university also has a law school. 3. What undergraduate majors are offered at Northeastern University? 4. What postgraduate programs are available at Northeastern University? Click here for a list of the Doctoral (PhD) programs at Northeastern. 5. What courses are taught at the Northeastern University School of Law? 6. How much does it cost to attend Northeastern University? Additional fees may also apply, such as application fees, textbook fees, technology fees, and insurance fees, among others. Students applying to Northeastern may be eligible for financial aid if they fill out the Federal FAFSA form. More than 75% percent of students at Northeastern receive some form of financial aid. Financial aid for graduate students is also available. 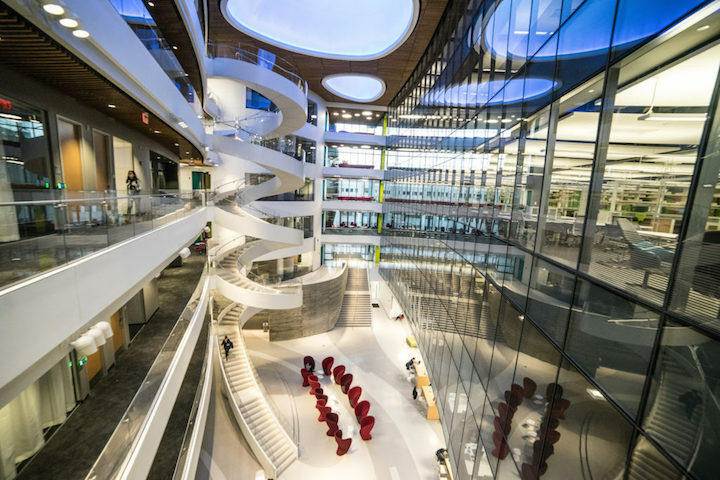 Above: Inside the 7-story science and research building at Northeastern. 7. What is the Northeastern University campus like? The main campus of Northeastern spans 73 tree-filled, grassy acres in the urban city of Boston, roughly 2 miles southwest of downtown. The campus and its buildings sport a rounded architectural and landscape design. On-campus housing is readily available, with no less than 13 residence halls and student villages. Freshmen and Sophomores are required to live on campus. The college's main campus features 6 transit stations, and ample pubic transportation runs along Huntington Avenue, which borders the north side of campus. On the south side of campus is the Orange Line. So many transit routes provide students with all the rides they need to get around campus, and around the city of Boston. Attractions near campus include the Centennial Common, the Skywalk Observatory, the Museum of Fine Arts, and Symphony Hall. Just northwest of the campus is a big, beautiful park with a river running through it. The athletic teams at Northeastern are called the Huskies. They play for Division I of the the NCAA, as members of the Colonial Athletic Association. The school colors are deep red, warm grey, and black. 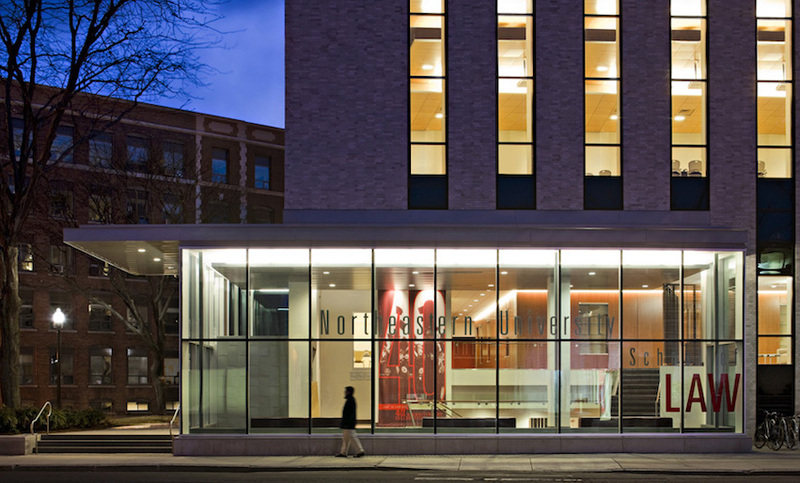 Campus life at Northeastern also includes many non athletic activities, such as musical groups, theater groups, cultural clubs, professional journals, a student newspaper, and many others. 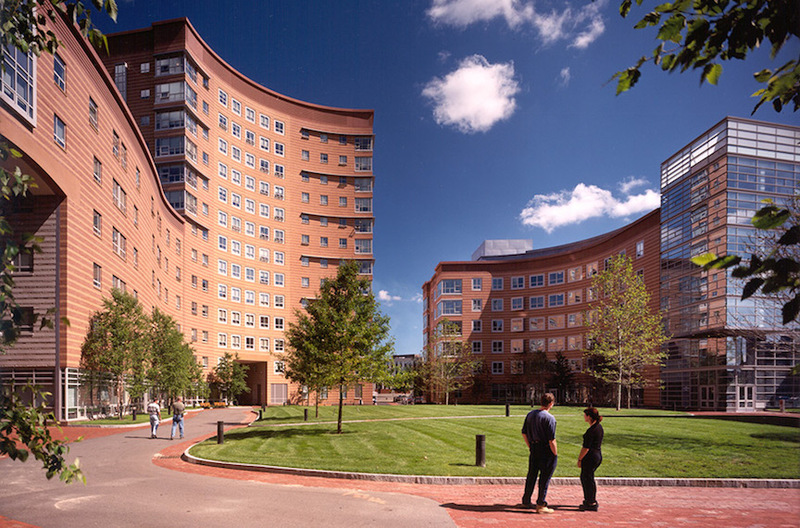 Above: The west campus residence hall at Northeastern. 8. 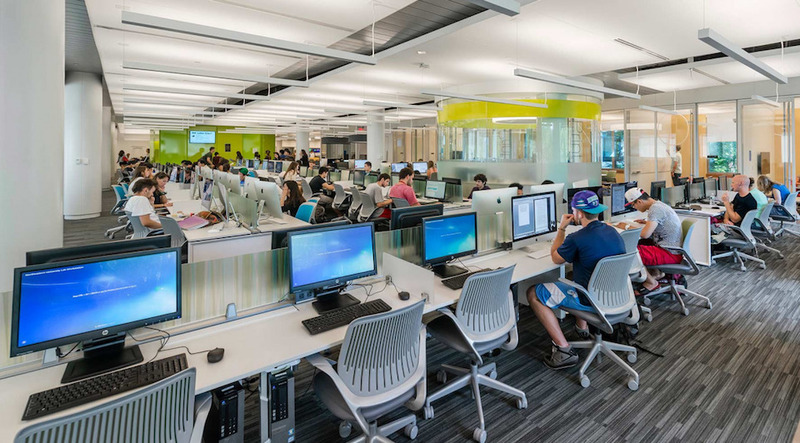 What are the distance learning options at Northeastern University? Northeastern offers a broad range of classes that can be taken fully online, including law school courses. These classes are offered through the College of Professional Studies. Above: A typical "learning environment" at Northeastern (They don't call them classrooms anymore). 9. What is the contact information for Northeastern University? You can reach the main campus office of Northeastern by calling 617-373-2000. To contact the Law College at Northeastern, call 617-373-5149. To reach the Seattle campus, call 206-467-5480. For the Charlotte, North Carolina campus, call 980-224-8467. To speak with someone at the San Jose campus, call 408-229-2292.